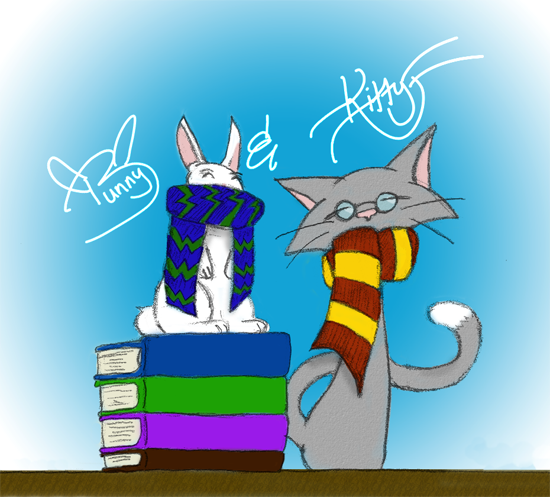 Bunny+Kat Present: Top Ten Book Heroines! Today's TTT post ties in really nicely with yesterday's blog tour stop for DEATH MARKED by Leah Cypess, where Kat and I rounded up our Top 5 Female Assassins! The ladies are in the spotlight here this week! Eleanor Fitt from Susan Dennard's Something Strange and Deadly trilogy. Even though she got moody, even though she wasn't infallible: She did what she needed to do, even if it meant getting a little dirty. Lucero-Elisa de Riqueza from Rae Carson's The Girl of Fire and Thorns trilogy. Elisa went from being a reclusive, shy young girl into a BAMF queen by the end. I didn't always agree with her while reading her story, but I ending up really admiring her strength, courage, and convictions. 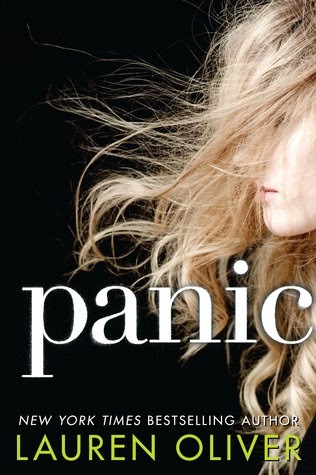 Heather Nill from Lauren Oliver's PANIC. I read it recently and adored this story. Heather found her way through strength in numbers, and went from local what's-her-name zero to small-town hero. Clara Gardner from Cynthia Hand's Unearthly trilogy. She is such a good role model for young women, and I find myself constantly recommending these books. She finds out that things aren't always as simple as they seem, and she perseveres and grows into a powerhouse. Alanna from the Song of the Lioness quartet by Tamora Pierce. 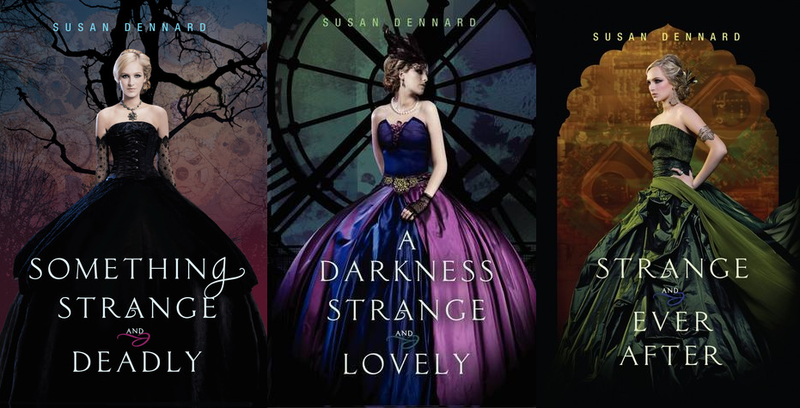 As you can see from the three images above, these books have been out for a number of years and have many covers. In fact, there are more covers than those! I didn't want to just show you the version I know best, since the style is older and less gripping, but I also didn't want to solely show you the newest version, either, since it makes the series look much younger than it is. 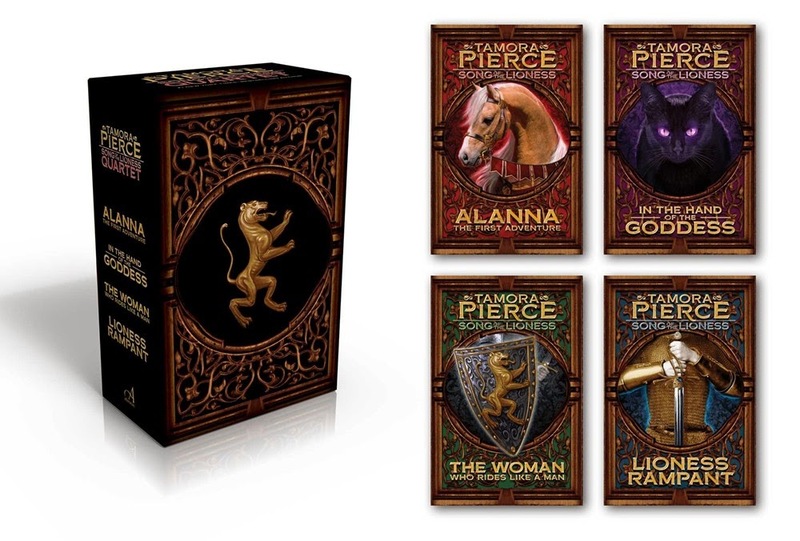 Alanna--and Tamora Pierce--introduced me to so many great fantasy novels. This girl has the guts to change her destiny. When her dad sends her to a convent and her twin brother on his way toward knighthood, the two change places, neither willing to accept the path they're being thrust on. Alanna disguises her gender and becomes so strong and daring. She also paves the way for future generations of lady knights (Kel!!!). I love seeing her return as a grown-up in cameos throughout other books in the Tortall universe! Tris from the Divergent trilogy by Veronica Roth. Tris is one character that will always be with me. She goes through so much and changes her world so completely. She comes full circle in her growth and never changes the core characteristics of what makes her her. 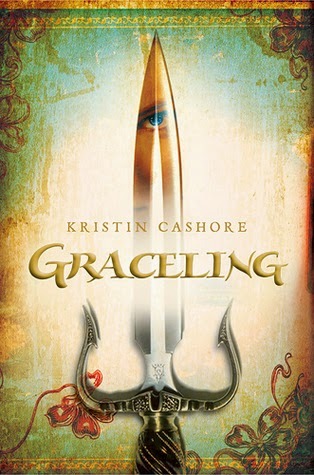 She wants to change her fate and is willing to fully embrace the unknown, which begins her journey in the first place. She also risks everything to build a better world for the people she loves, and I admire her fearlessness so much. Elisa from The Girl of Fire and Thorns trilogy by Rae Carson has become one of my favorite YA fantasy heroines. If you had told me that upon reading the first book, I may not have believed you! Like many, I viewed Elisa as her sister Alodia clearly does in the novella THE SHADOW CATS. She's weak and lazy and doesn't have a care in the world. She's whiny and she complains. But after she's kidnapped in the first novel and exposed to the world, she begins to change. Elisa has more character growth over the course of her series than most characters I've encountered as a reader. She becomes a fierce, amazing Queen and someone worthy of being cheered on. She is an absolutely amazing character. 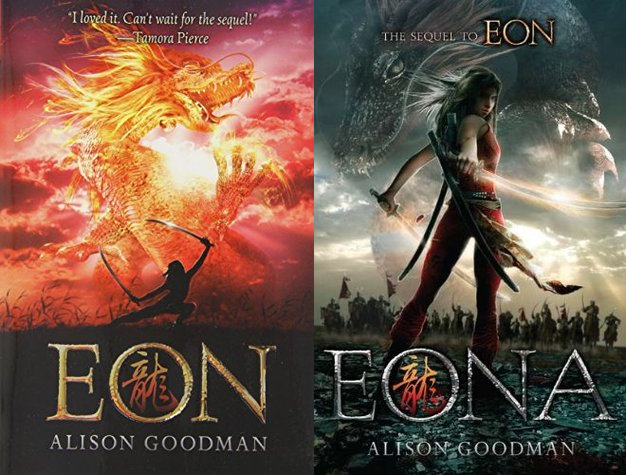 Eona from the Eon duology by Alison Goodman is another female who wants more than what the world is prepared to offer her. Like Alanna, she masquerades as a male in order to achieve her dream of becoming a Dragoneye. The irony that she's the only one able to do some of the things she does, but her culture would give that destiny away to someone unable to achieve it simply due to her gender. She truly becomes powerful and incredible in the second book. 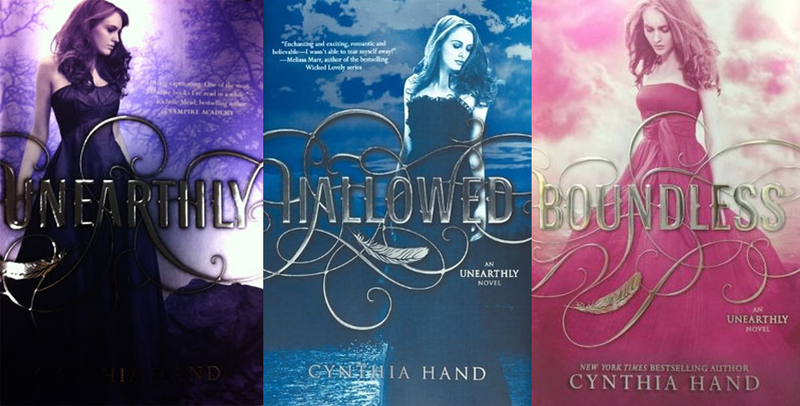 These aren't as well-known as other books, but if you're looking for an incredible female heroine, your wait is at an end! TRIS YES! I nearly put her on my list but I had like 29498 heroines I wanted to add. 10 was NOT enough this week. ;-) And I also have Eon on my TBR pile and this makes me even more excited to start it! Here's my TTT! Great lists :) Only one I don't agree with is Heather, but I didn't get on very well with Panic. I love Alanna, Katsa, and Eona - excellent choices!